If we imagine a plate, which is perfectly reflective of sound and drill holes through 5% of its surface then we would expect 5% of the sound energy to be transmitted and the rest reflected. While this would be true on average, what we would instead observe is that for certain critical frequencies most of the energy would be transmitted. This is due to a phenomenon known as Extraordinary Transmission. 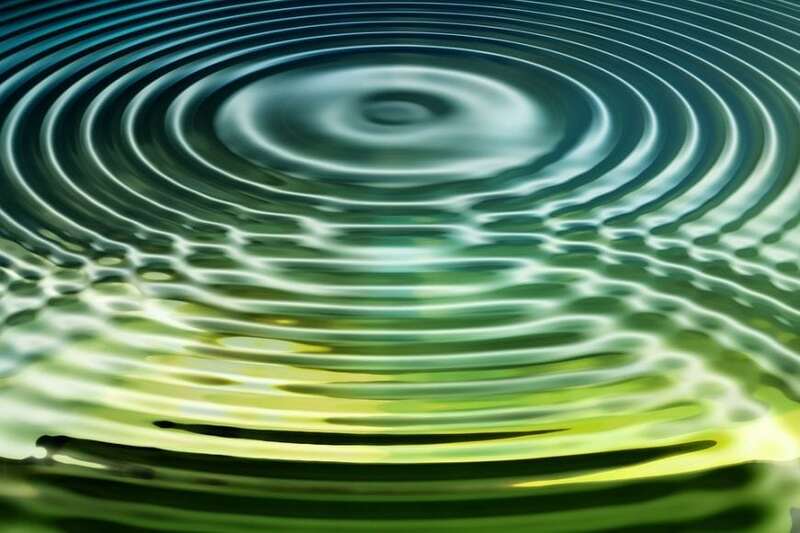 It turns out that this is a rather universal feature of wave systems and it has been observed in multiple situations, including a recent experiment with sound waves, which was our inspiration. As applied mathematicians, we like to use mathematics to understand physical phenomena and this extraordinary transmission is a great example of the deep connection between the physical world and the abstract world of mathematics. We tried to build mathematically the simplest systems which would give this extraordinary transmission and to study and understand this system as completely as possible to infer results for more complex situations. From our analysis, it turns out that two mathematical ideas are key, symmetry and a simple result from complex analysis. Symmetry plays a crucial role in all of mathematics and its importance cannot be overstated. It turns out that we need to drill our holes symmetrically so that the plate would look the same if we flipped it over, for extraordinary transmission to occur. Complex analysis is the study of functions which depend on complex numbers. Complex numbers are numbers which have a real and imaginary part. They are the final building block in our system of numbers that start with the counting numbers, then fractions, negative numbers, rational numbers etc. One of the key difficulties working with complex functions is that they are hard to visualize since they are essentially four-dimensional. Recently, mathematicians, led by Elias Wegert, have developed ways to effectively visualize four-dimensional complex functions in two dimensions using color. We can think about complex numbers as having an angle and a length and it is by focusing the coloring of angle that gives effective visualization. Our method of analysis proceeds as follows. We use symmetry to decompose the solution into two simpler sub-problems. Provided the frequency is low enough these subproblems are so constrained that we can write down a simple formula for the solution from a result in complex analysis. We can calculate the solution for each frequency of the sound numerically and then extend this solution to be valid for complex values of frequency (k). We find that this complex solution has a distinct pattern of zeros and poles (infinities) exactly as predicted from complex analysis. When the solution for real frequency passes between these zeros and poles we get an extraordinary transmission. This is best illustrated in the movies which are supplementary material to our paper. The top figure of the movie shows the reflection of energy as a function of frequency while the lower figure shows the same function but for complex frequency values. The inset shows the geometry of our problem which is slowly varied to give an animation. In the first movie, we slowly make the duct narrower. As we do this a series of zeros come from above and poles from below. We can also see a tear in the complex plane which starts at k = pi/2 known as a branch cut. This tear moves the pattern of poles and zeros down in the complex plane so that the real solution (shown in the upper figure) does not pass between them. This explains exactly why we no longer see the zero of reflection (perfect or extraordinary transmission) in the results shown in the upper figure for k greater than pi/2. In the second movie, we keep the duct width constant but move it relative to the center of the duct. This breaks the second symmetry in the problem and introduces extra tears in the complex plane at k=pi/4 and k=3pi/4. This tearing suppressing the extraordinary transmission below k=pi/4. Obviously, our paper is not the final word on the problem and many interesting questions have been raised by it. We cannot explain why the pattern of zeros and poles retains its structure and why the spacing remains roughly constant even above the branch cuts (or tears). This result is not implied by the result we used from complex analysis hinting at a deeper mathematical structure waiting to be discovered. This study, Extraordinary acoustic transmission, symmetry, blaschke products and resonators, was recently published in the journal Wave Motion.